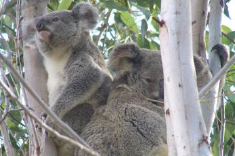 The Hollow Log Country Retreat and Koala Sanctuary...Enjoy our Wildlife! 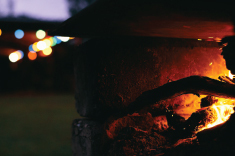 A comfortable log cabin nestled in beautiful native gardens, close to Lake Wivenhoe and Somerset Dam - just over an hour's scenic drive from Brisbane. 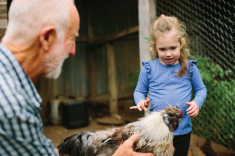 Children delight in feeding and petting our friendly farm animals – alpacas, sheep, cows, a miniature horse, chooks and our two gentle dogs. 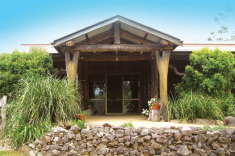 A tranquil haven to observe nature, especially koalas in the wild, go bush-walking, explore the beautiful Somerset Region or simply relax. Seniors’ Discount applies to mid-week bookings – check our other current offers.